In our day and time it is of utmost importance that every single one of us does their best to make the world a better place. People are realizing the responsibility that they have towards the environment. The evidence of human influence on climate change is just too much to be ignored. So the question becomes – what can be done? Clean your home as often as possible. The logic behind this is that the cleaner your property is, the fewer items that endanger the environment would be found in it. Naturally, you should go for green products and equipment too. If you do not have the time, energy or the skills to sanitize your home at least a couple of times a week, you might want to consider hiring a housekeeper or even a full time maid. Cut down on your use of paper products. The production of a single sheet of paper wastes so much clean water and other resources than you can imagine. It would actually be a good idea if you give up even products made of recycled paper. 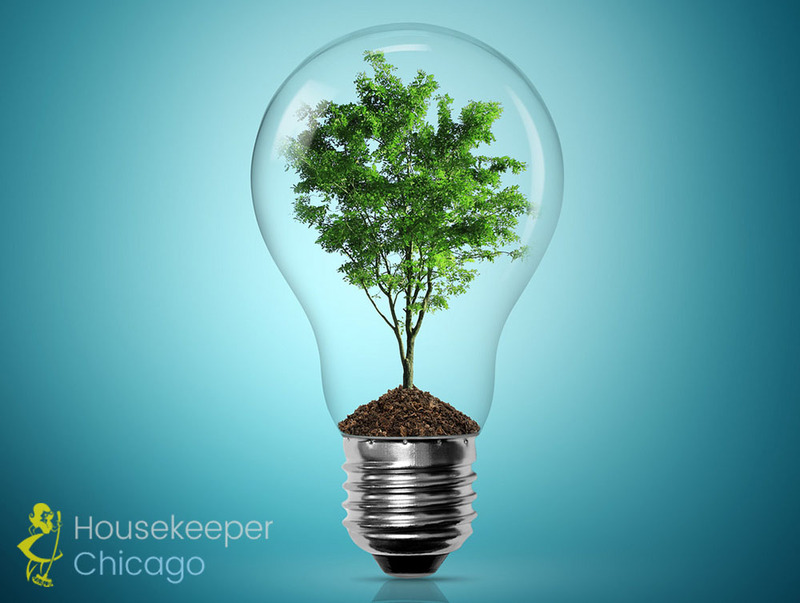 We cannot stress more that the most important aspect of eco-friendly living is recycling. Recycling is easy, it is healthy and efficient – and it brings much good to the planet. There is no reason why you would not want to do it. So just do it. Surprisingly enough, eating less meat is also helpful to the environment. We are not saying that you should become a vegan right this second, but thing about the fact that 30 percent of Earth’s surface is used for raising livestock, and according to a number of studies, this contributes as many as 9% of the CO2 deriving from human-related activities and even more greenhouse gases. So, eating less meat might be a very good idea indeed. Substitute your plastic shopping bags with canvas ones. Plastic is notorious for taking ages to decompose. It also requires massive quantities of clean water to produce and plastic bags are actually known for taking up a considerable part of the pollution-factors around the globe. Go for energy efficient light-bulbs. This is going to affect in a positive manner not only the environment but also the electricity bill, which is always a good thing, right? In this regard, you can go an extra mile and make sure that your home is as energy efficient as possible. Cut down on your use of water. It is probably the most precious resource on the planet, but we do not seem to grasp it. Reducing the amount of water that you use at home is not that hard, you just need a few adjustments such as low-flow showerheads, to stop purchasing bottled water – get a water filter instead – and other such actions will have an almost immediate effect.